Oh, @DarthJ, do you truly think I'm rather ugly? People apparently forget that when Teyon solicited ideas about the Poser 11 figure on the RDNA official website, many said that they wanted a figure that did not have a clear character look that would affect morphed characters. They wanted a neutral figure that could be morphed into anything. That is the base Pauline that we got. This image is my Paulette freebie. I wonder if she would give DarthJ a second look as dating material? I'm just a hobbyist learning to take advantage of Pauline. I made Paulette to be beautiful to my eye. I made Oichi to be pugnacious and scrappy. I will produce other freebies that show how much variation is possible in Paul and Pauline with Poser 11's built-in tools. If you don't like them, don't download them. I'm sorry a nice thread devoted to resources for Pauline and Paul has gone off the rails. @ghostship That's really nice. Which character package do you mean? Let's put it on the rails again then. I can just confirm ghostship's recommendation. Over time I regretted many a purchase I made in shops, but not this time. These characters somehow break the 'resistance' I feel sometimes in Pauline and make her fun to play with. Yes, plain recommendation from my side. Wow! She is awesome... Thank you so much for the link. Talking about Pauline-Plus: is that product updated with Pauline's Service update? No: it's a modified figure, it contains a few new characters to change the shape (including the general look of her face), plus some adult-oriented parts, including more beautiful breasts shape, at least from my point of view. Not sure that I dare to direct link to the page: it's on renderotica.com, just search for Pauline and you'll easily find "Pauline Plus". I recently picked up Altea, and I'm very pleased with her. I don't have Pauline Plus, so will check that out as well. @A_Sunbeam It's not just you. She has a rather nice body, but I've yet to see a face on her that I really like. Still, I'm going to see if i can make something for her. 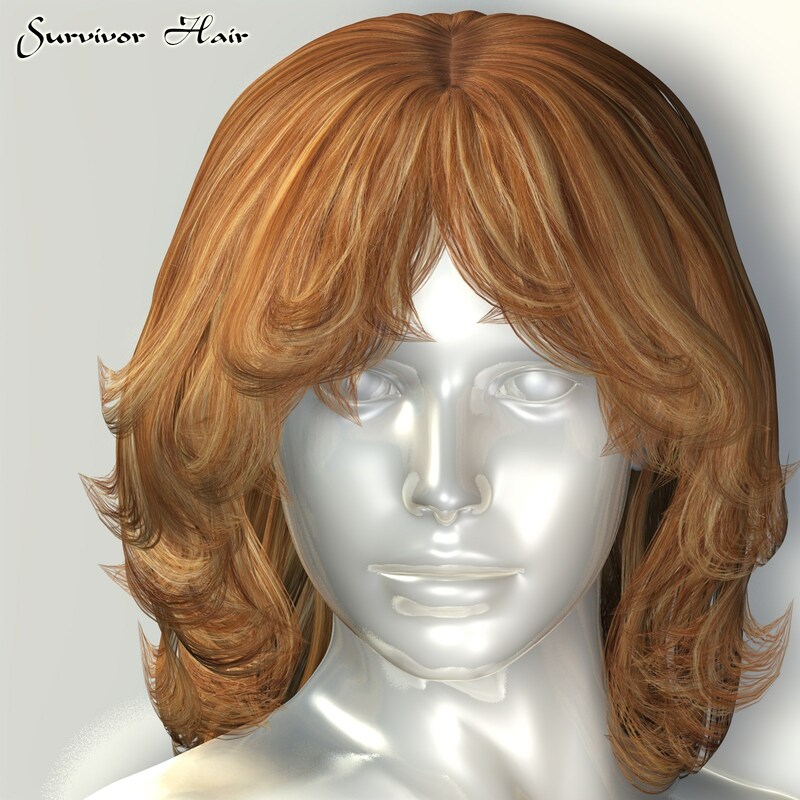 Survivor Hair - Includes fit pose for Pauline, Paul, Rex, Roxie, Alyson 1 & 2, Ryan 1 and 2m Simon, Sydney, Dawn, Dusk, Baby Luna, V4, M4, K4, etc. New Hair for our Dolls. Fits V4, Dawn and Pauline!